Have you ever wondered what are the most common seashells that wash up on Sanibel? We see them every day on the beach but all of those “little white CLAM shells” start to look the same and we tend to look over all of them in search for our favorites like the TULIPS and WHELKS. TRANSVERSE ARK (Anadara transversa), CROSS-BARRED VENUS (Chione elevata), PONDEROUS ARK (Noetia ponderosa), KITTENS PAW (Plicatula gibbosa), COQUINA (Donax variabilis) and the JINGLE (Anomia simplex). They look pretty familiar don’t they? The TRANSVERSE ARK (Anadara transversa) seashells are literally everywhere on our beaches and this is why it’s hard to find any other shell on the beach because we get so overwhelmed by looking at so many of these “little white clams shells”. CROSS-BARRED VENUS (Chione elevata) shells always intrigue me because they have so many different interior colors. PONDEROUS ARK (Noetia ponderosa) normally looks like just a bigger version of the TRANSVERSE ARK but when they are juveniles, it is really hard to tell the difference. Closely looking at the interior is the only way to decipher the juvie PONDEROUS from the adult TRANSVERSE. KITTENS PAW (Plicatula gibbosa) – How can you walk on a beach in Sanibel and not smile when you see one of these? COQUINA (Donax variabilis) shells have stolen the hearts of most of us the first time we walked on the beach and saw these sweet little butterfly shells scattered along the beach. JINGLE (Anomia simplex) shells are like shimmering little beacons calling out from the sand- love them. I helped with her study by scooping up shells for her shell material research on the beach at Blind Pass Sanibel. I also took samples at Sanibel’s Lighthouse beach for her. So now we know! It was so much fun being involved in her very cool project to answer the question asked about our beaches of Southwest Florida “What are the most common shells on Sanibel?”. Thanks Susan H for this awesome report! Do you have any pictures of what the live creature in Jingle shell looks like? What a great article. Never knew the shells that are most common. This was a great post. Thank you!!!!! Interesting. I wonder, though, why she didn’t include the Slipper Shell (“crepidula fornicata”) in the Top 6 Shells? The Slipper Shell was #1 in the Whole Shell category, and, in total numbers, it beat out the Jingle Shell (“anomia simplex”) at 126 to 105…. Hey, excellent Kaye! I think you found an error/oversight! Yes, the slipper shell was the most common gastropod in the samples I took, and the number of slipper shells overall was higher than that for the jingle shells. It looks basically like any other clam, except for the fact that it has a really strong attachment thingy that fits down through that hole in the lower valve and cements onto the substrate (a rock or another shell). Pam, just loved this posting……………..so interesting to know the most common shells of Sanibel. Even though I think I knew already by my collecting them all the time…………..now I would love to see the most common spiral type shells. Those are my most favorites!!! Keep up the good work……………….! We met Susan that trip! We were staying at the same place…our favorite little piece of heaven. Just lovely to talk with and fascinating research. I’ve found another little shell that’s very common and is one of my favorites to collect, the little white lucine. I love learning from your articles. My family have been coming to Sanibel/Captiva /North Captiva for about 35 years and have collected LOTS of shells, including a junonia several years ago, a lion’s paw many years ago, and just this May while on Captiva, one of my grandsons found a golden olive. Another also found one as well though it was on the lighter side from the first which was a true butter-colored perfect specimen. Today’s article about the most common shells reminds me to say that we have lots of those. I especilally like the jingles and keep a large bowl of the orange ones in my living room. I’m a recent arrival to Florida (St. Pete) and though I’ve only lived here since April, I’ve already been to Sanibel twice (the most recent time, I went on a Captiva Cruise to Cayo Costa). I am quickly becoming a shell addict, and I can attest to seeing scores of these shells. I’m still new enough that I get excited seeing the common finds, though I’ll admit my favorites were the conchs I found at Blind Pass. The kitten’s paws are darling, though, and a close second! It was interesting to read the study. I was also thrilled to see a photo of Susan H since her posts are always so interesting. She also encouraged me to come down alone when my sister had to cancel do to health issues. I took her advice and had a great time. I think one of the only reasons I noticed that is because the Slipper Shell is one of my most favorite shells! Maybe Susan was concentrating on bivalves…so jingles win. When I walk alone, my sis asks what’ s in, I answer kittens in slippers! You said that “closely looking at the interior is the only way to decipher the juvie Ponderous from the adult Transverse.” What should we look for on the interiors so we can tell the difference? What a great study, Susan H.! Fascinating research !! Fine teamwork…. Common maybe but very beautiful. Stumbled upon your blog and would love to follow it in emails! 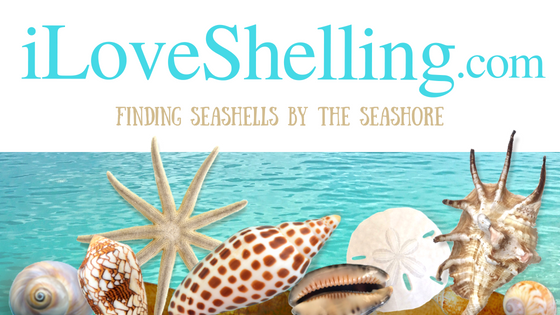 :) Blessed to share my love of shell hunting with you and so many others. You say “Closely looking at the interior is the only way to decipher the juvie PONDEROUS from the adult TRANSVERSE.” Can you tell me what differences to look for in the interiors? I’m trying to sort mine and i especially love the tiny shells!